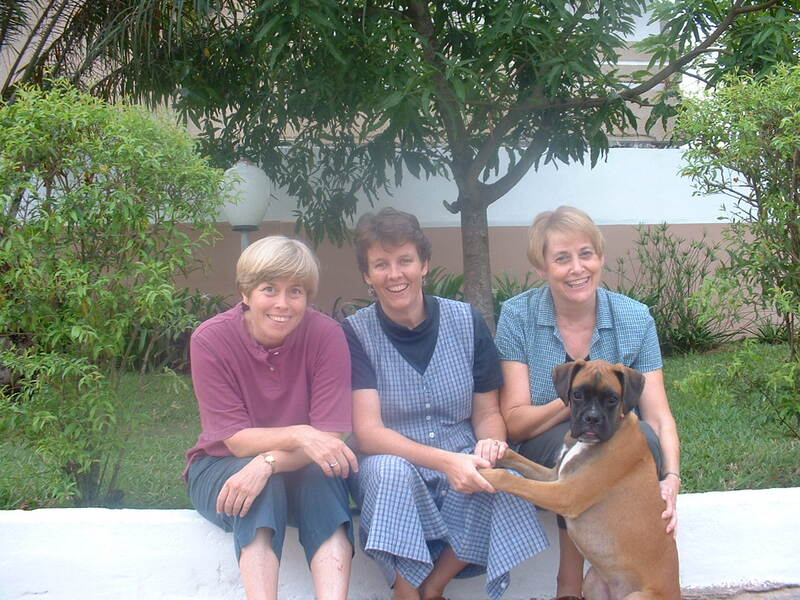 In 1999, several people recommended that Marion Dicke join Karen and Darlene on the team. Marion had served with the Christian and Missionary Alliance-Canada in Zaire (now DR of Congo) for over 15 years in midwifery, leadership training, mission administration, and member care. It was good to be three! And to have our pup, Gideon!